Images courtesy of NBCOlympics.com on Copacabana Beach in Rio de Janeiro. 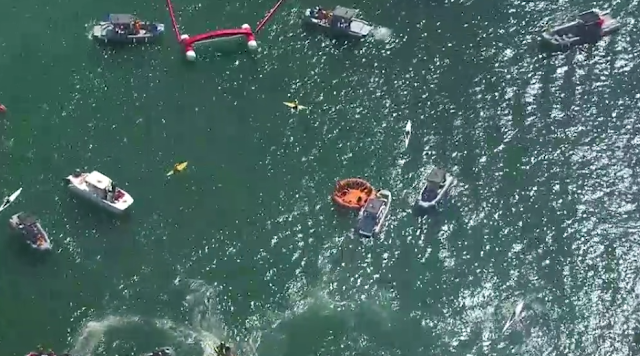 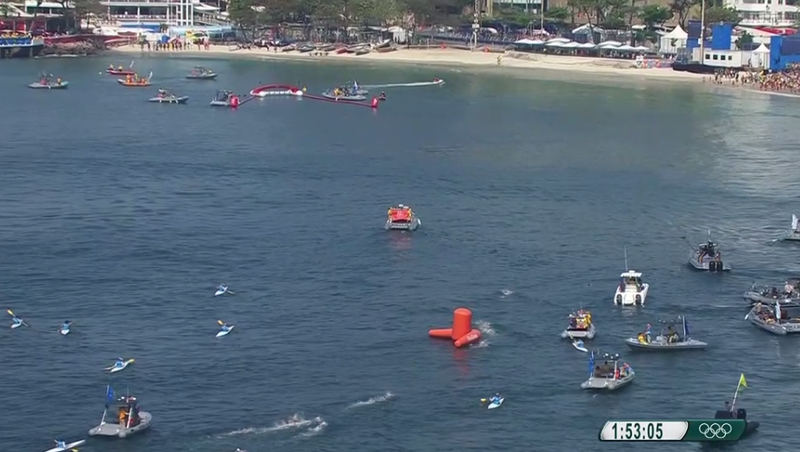 The local organizers dramatically captured today's women's Olympic 10K Marathon Swim through a combination of cameramen in the water, on media boats and from helicopters above. 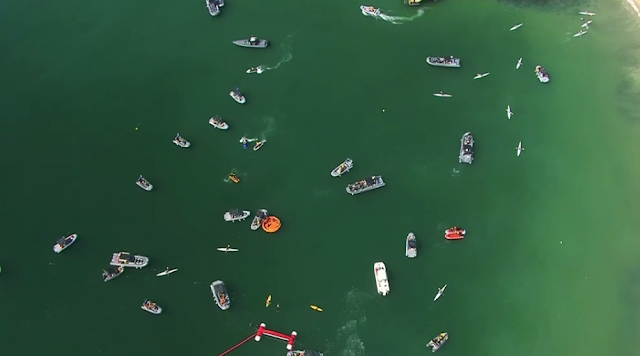 They did a marvelous job relaying the excitement of the race in real time to the rest of the world. 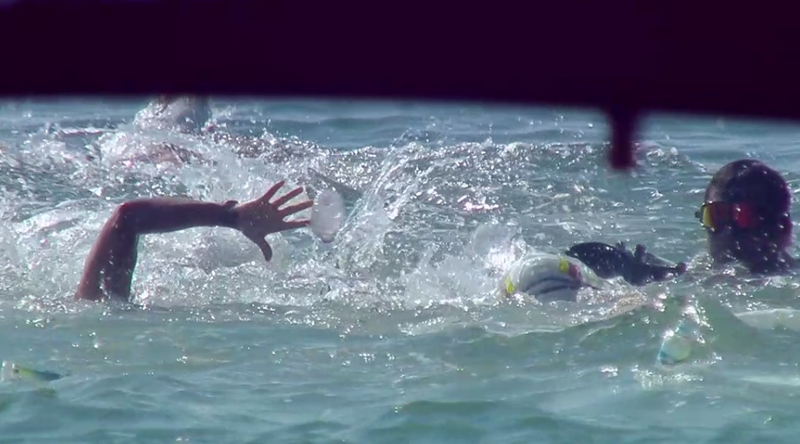 They provided a combination of close-ups and wide panoramic shots that effectively told the story of the marathon swim. Final race results of the women's Olympic 10K Marathon Swim are posted here.